We encourage OA Leaders to continue to build on the leadership and outdoor skills that they learned in the Leader Training Program. These are opportunities for current OA Leaders to get more deeply involved in OA through becoming an instructor. In order to continue OA's Leave No Trace Initiative, we offer one LNT Master Educator trip and 2-3 LNT Trainer trips each year. LNT Trainers focus on developing a personal wilderness ethic and how to teach the principles of LNT to others. In addition to these responsibilities, LNT Master Educators, which receive the highest level of training offered by the Center for Outdoor Ethics, are also charged with training LNT Trainers and facilitating the development of this ethic in others. A critical part of OA leader training is competence and confidence in dealing with emergency situations. The Wilderness First Aid and CPR instructors teach the core skills of patient care and assessment, and judgement and decision making for the field treatment of emergency situations. CPR Instructors teach the 3 hour American Heart Association CPR course to OA leaders and other members of the University community. In order to become a CPR Instructor you must complete the CPR Instructor Course. Technical Skills Trainer is a relatively new role within OA. The idea is to develop a cadre of leaders who are super-solid on all the outdoor technical skills and who are the instructors for the Leader Training Technical Skills Classes. We are now taking applications for people interested in becoming paid staff to teach these classes which take place over Fall Break, Spring Break and in April. Leader Trainers carry the tremendous responsibility of training Princeton students to lead groups in a backcountry setting. As a result, we take the qualities and qualifications of a Leader Trainer applicant very seriously. A Leader Trainer applicant should be comfortable in an (outdoor) group leadership role and ready to take on the next level of leadership: teaching others how to lead. How do I Lead an OA Trip? 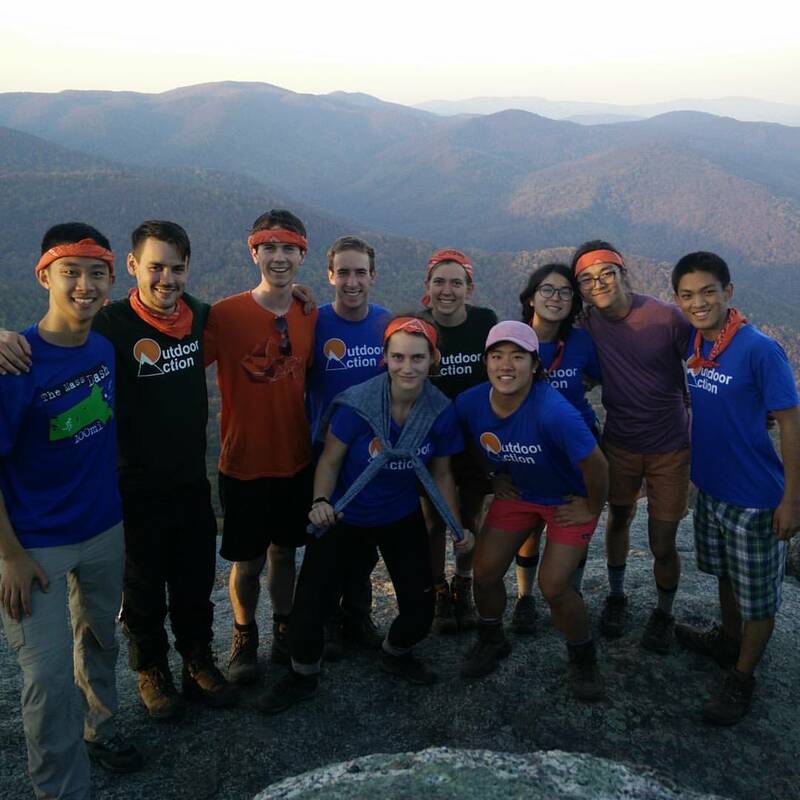 During the year, OA Leaders are responsible for planning both single- and multi-day trips. As trip leaders, you will need to apply to lead, contact participants, plan the trip, manage equipment needs, and complete various post-trip responsibilities, such as de-issue and expense reports. Read more about How do I Lead an OA Trip? The Advanced Leader Training Trip (ALTT) is a 4-5 night backpacking trip designed for those OA leaders who have led at least one trip and who want to improve upon their teaching and leadership. The advanced leadership techniques developed during the trip will be applicable both to the wilderness and to other areas of campus life. It will be led by Leader Trainers and take place in a remote wilderness location.